The awesome beaded pattern at the bodice of this dress makes it stand out and shine in a crowd. 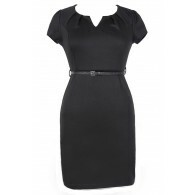 The Just Bead It A-Line Dress is fully lined and made of chiffon. It has an empire waist, a flowy A-line cut, and adjustable spaghetti straps. The best part of this dress has to be the design at the bust made up of embroidery and beading in a lovely pattern. A hidden back zipper completes this dress. The Just Bead It A-Line Dress would look nice to wear to a wedding, dance, or party. Pair this dress with pumps, heels, or wedges and delicate jewelry for a cute cocktail dress. You could also dress it down with flat beaded sandals in the summer for a casual glam look. Details: Fully lined. Adjustable spaghetti straps. Hidden back zipper. 65% cotton, 35% polyester. Lining: 100% polyester. Hand wash cold water separately. Color will bleed. No bleach. Hang to dry. Small measurements: Length from top of bust to hemline: 28.5". Bust: 32". 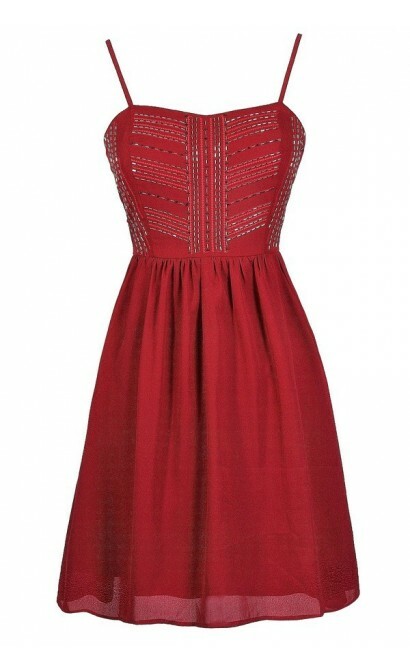 You have added Just Bead It A-Line Dress in Red into Wishlist. 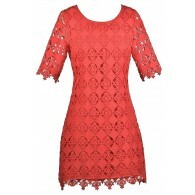 You have added Just Bead It A-Line Dress in Red for Stock Notification. 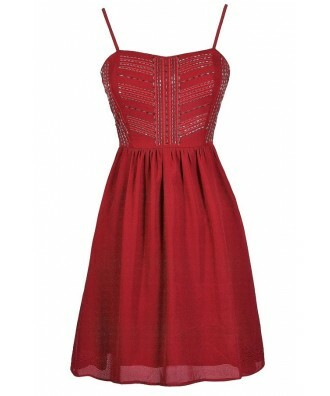 You have set Just Bead It A-Line Dress in Red as a loved product. 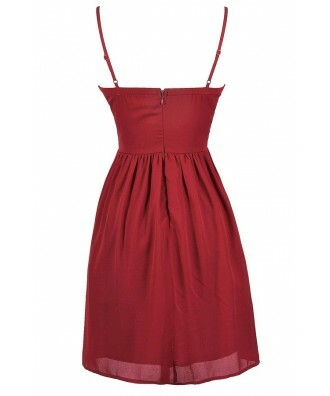 You have removed Just Bead It A-Line Dress in Red as a loved product.